Love Birds is a new Gliclée print available in my shop. What can I say, some times love is kind of gross. 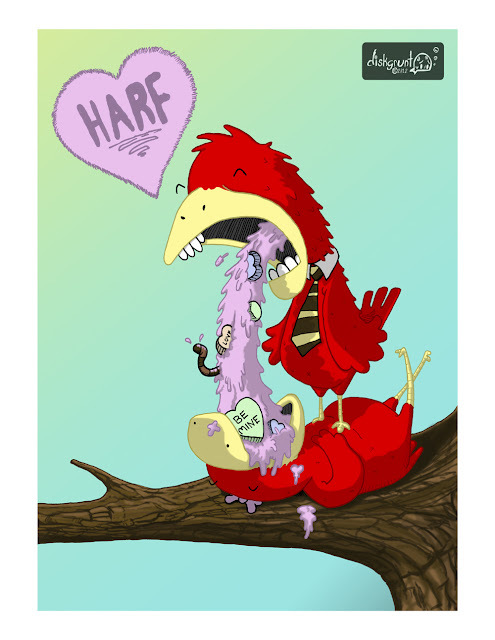 If birds gave candy to their sweeties for valentines day, I'd imagine this would be how. I created this image a bit differently then I normally do. It started from a small doodle, as most of my work does, that I then drew a larger version and scanned. Since I do so much screen printing, normally at this point I would painstakingly convert my line work to vector art using the pen tool in illustrator. I know, I know, Live Trace Dude... Maybe I just don't know enough about that tool, but I never feel like it stays true to my actual line work. In this case, I used the following youtube tutorial to quickly and cleanly remove the white from my drawing, leaving only my line. Then I used Photoshop to paint the drawing in. What I really enjoy here, given that my lines are never perfect and clean, it really does look and feel like my hand draw sketches and images. Something that's hard to truly achieve in Illustrator. Prints are made using my Epson Stylus Photo R2880, with archival inks and on acid free Ultra Premium Presentation Matte Paper. 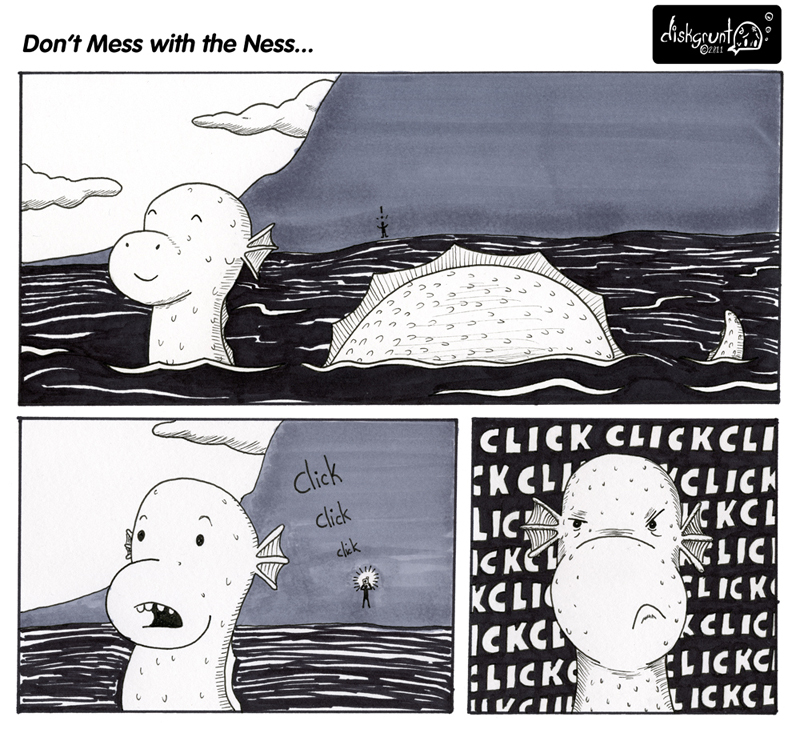 If you like it, you can order up a signed copy up from my shop! New Pocket Notebooks, and price drop! Yeti Books are the latest addition to my pocket notebook line. Initially created as my holiday gift, I'm now offering them for sale via my shop. 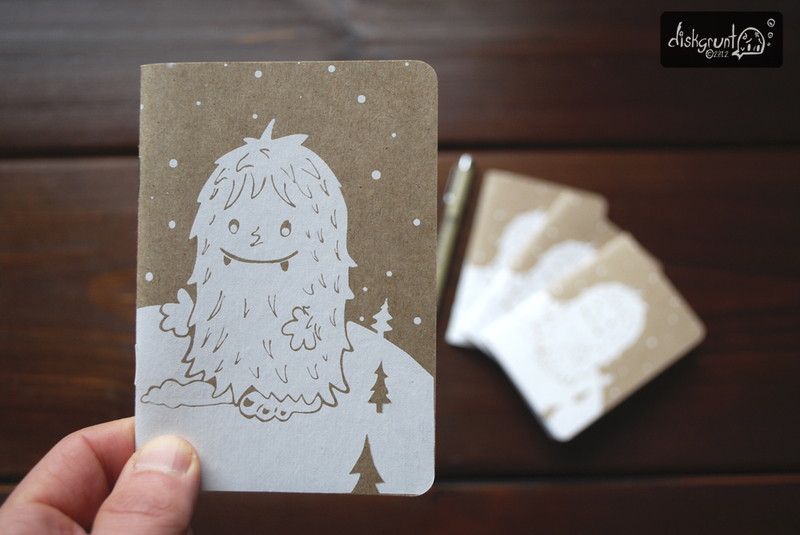 Each book is hand screen printed on the front and back of a cute Yeti enjoying the snowy weather. You can get them for only $4.75+s/h for singles or $12.50+s/h for 3 packs. 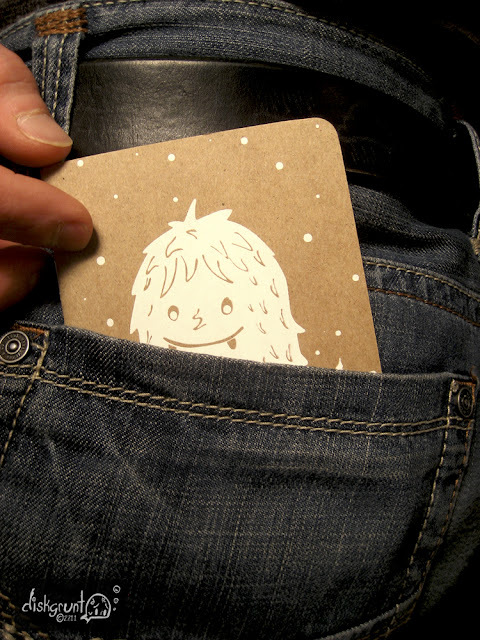 On top of that I've dropped the prices on all my pocket notebooks! Check'em out and stock up! ** Update - I got some feed back that my photo's where a bit to sterile, and my hand was a huge scary distraction, so I've updated my shots. Whatcha think? A lil peek at something new coming to the shop this week... Stay tuned for this and more soon! This is one of my latest WonderTeam comics, if you haven't checked out the group, you should. 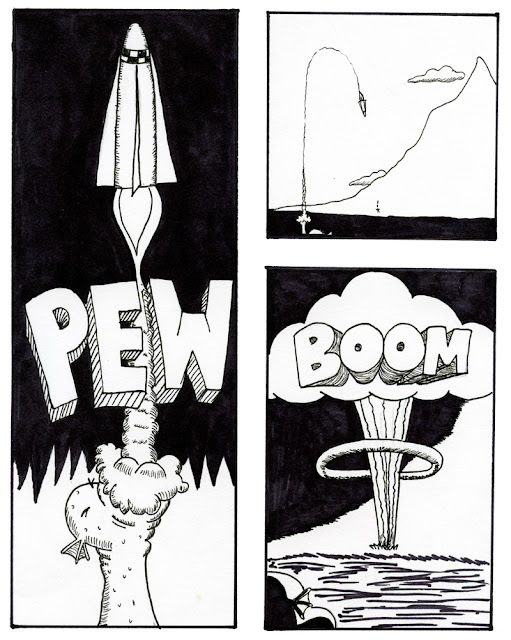 All Portland Artist making weekly comics. Please forgive us if we miss a post here and there!